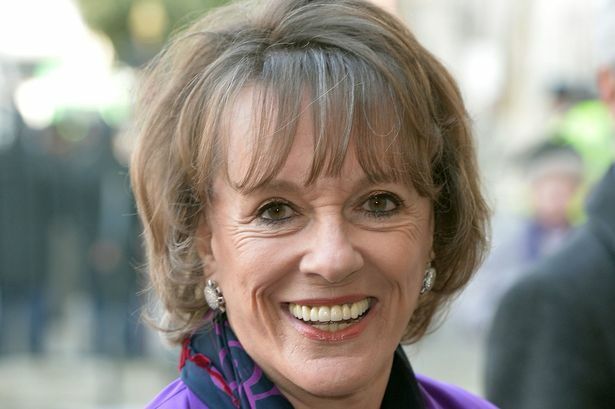 Veteran broadcaster Esther Rantzen is planning a bid to become the saviour of local television in Birmingham - amid increasing calls for the city&apos;s licence to be put out to tender again. The 74-year-old former star of That&apos;s Life, who fronted the popular BBC magazine show for more than 20 years until the mid-1990s, is thought to be in the running behind the scenes for the Birmingham licence. Ms Rantzen has been named as part of the That&apos;s Media group, which has already been awarded six licences across the UK, including Oxford, the Solent, Basingstoke, Reading, Surrey and Salisbury. Sources said That&apos;s Media was waiting in the wings if City TV, the trading name of BLTV which was awarded the Birmingham licence in November 2012, failed to get off the ground. City TV, headed by former Birmingham City Council spin doctor Debra Davis, is thought to be still struggling to meet the November 6 deadline with no sign of any progress. All attempts to contact Ms Davis have failed. An insider said: "The word on the street is that the Esther Rantzen group is looking closely at Birmingham if City TV really is dead." But Birmingham-based Anita Bhalla, director of the Greater Birmingham and Solihull Local Enterprise Partnership and chairman of the Creative City Partnership, said the city was missing out and called for the tendering process to start again. She told the Post: "It is a pity that the Birmingham licence has not been activated to date. A good local TV station would be very beneficial to Birmingham on lots of fronts. "There are now rumours that Ofcom might just give it to an existing player which has a consortia of licences elsewhere. I think that would be a great pity. "I would say that it should go back to a formal tender. It would be a pity if we became a franchise in a national group rather than having a local voice. "It needs to be open for everybody to bid for and not just a closed shop to existing companies who have already been through the process. "If BLTV is dead and buried, I think that the people of Birmingham need a voice here and not be given a fait accompli." That&apos;s TV bills itself on its website as the largest local TV operator in the UK. Ofcom awarded the Oxford licence to the group in November 2012 and board members at the time were named as Esther Rantzen, sports broadcaster Jim Rosenthal, ITV local newscaster Wesley Smith, LBC founder David Jessel and BBC Oxford presenter Danny Cox. Daniel Cass, managing director of That&apos;s Media, said at the time: "We will give Oxford a world-class, 24-hour local TV service from day one, providing challenging journalism in the mould for which our directors are renowned." That&apos;s TV says on its website: "That&apos;s TV is a brand new TV network for the UK launching in the south of England in the fourth quarter of 2014. "That&apos;s TV will bring the number one rating local TV news format in the US to the UK plus live sports, phone-ins and entertainment. Every That&apos;s TV affiliate will provide its own local programmes for the area it targets." Mr Cass could not be contacted for comment. Selly Oak MP Steve McCabe tabled questions over the delays to the launch of the Birmingham licence in the House of Commons and Minister of State for Culture Media and Sport Ed Vaizey confirmed that Ofcom would re-advertise the licence if City TV failed to launch by November 6.